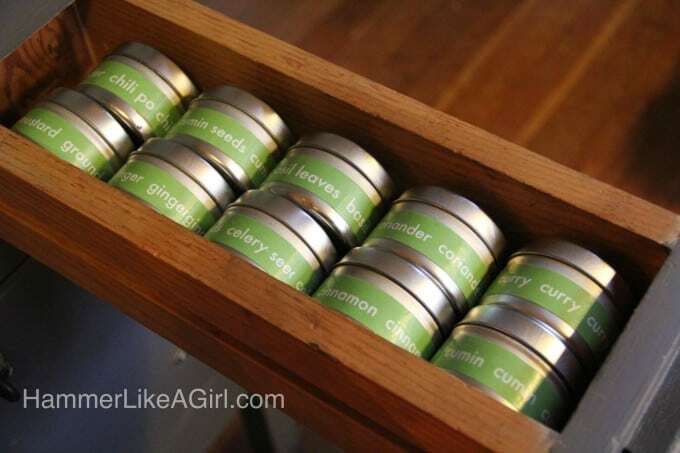 Revamp your spice containers with this easy DIY organization project. 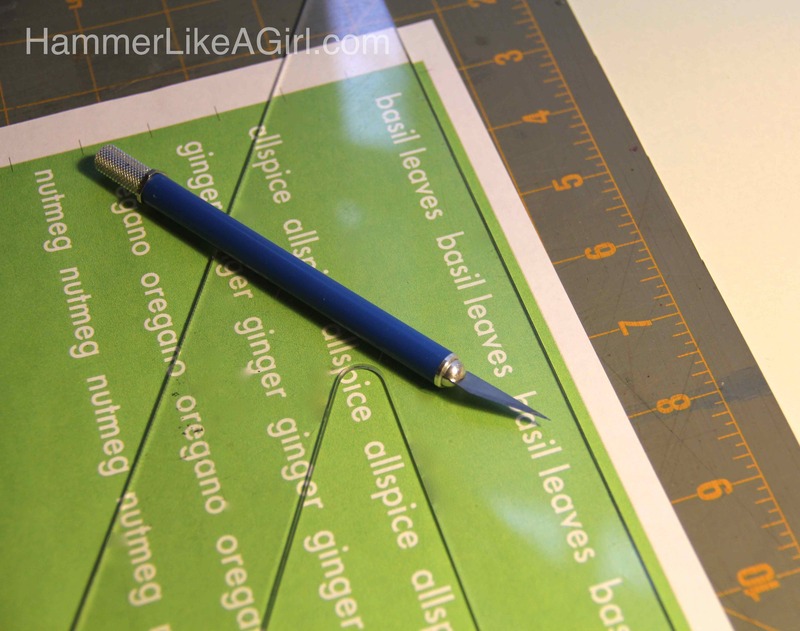 Just grab your bottle of Mod Podge and labels to get started! 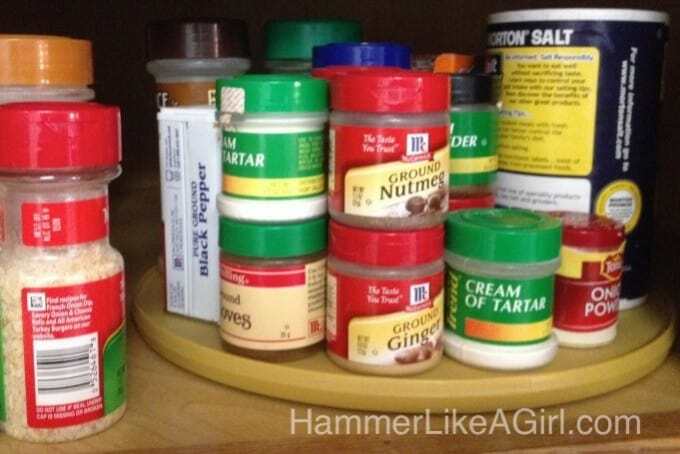 Do all of your spices in their random-sized containers drive you crazy? It has always bugged me – I could never find what I needed (so I would inadvertently buy duplicates) and no matter how neatly I placed them on a lazy susan, they never stayed organized. You've seen spice organizers out there, and for good reason. But they can get a little expensive. 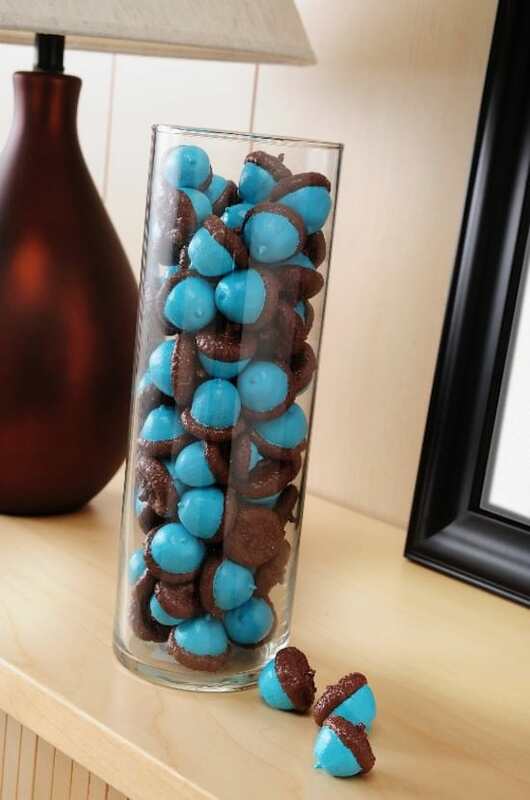 Here is a quick and inexpensive DIY organization idea . 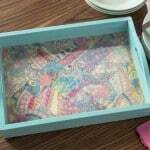 . . a way to tidy up all your spices – make decoupage tins using Mod Podge. 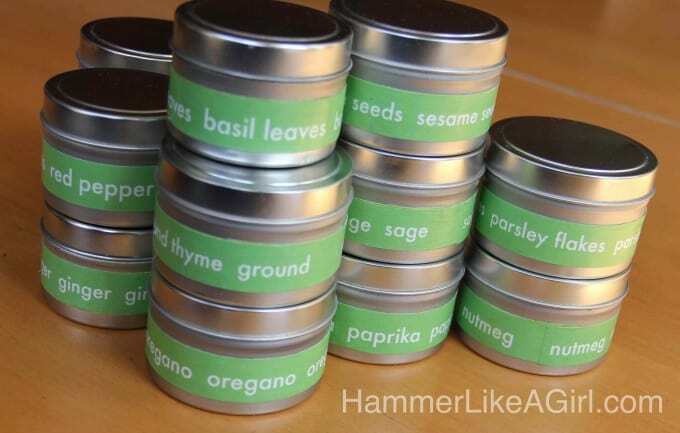 Once you've got your tins labeled, you can easily refill them from the bulk section of the grocery store – it's so much cheaper than buying the pre-packaged spices. 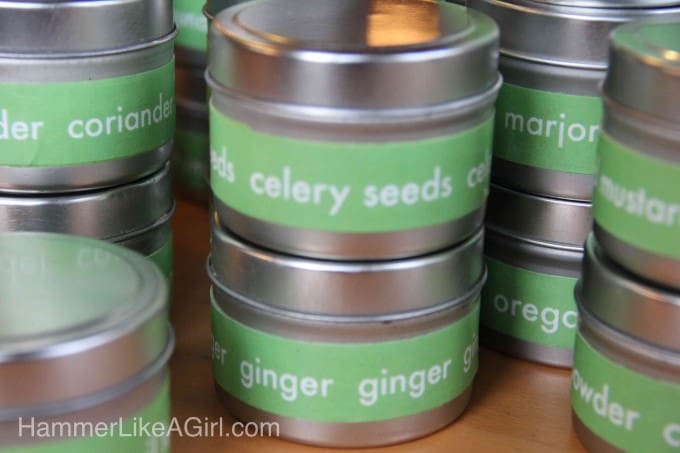 The tins can be stored on their sides in a drawer, stacked in the cupboard, or you can attach a magnet to the bottom and stick them on a metal surface. 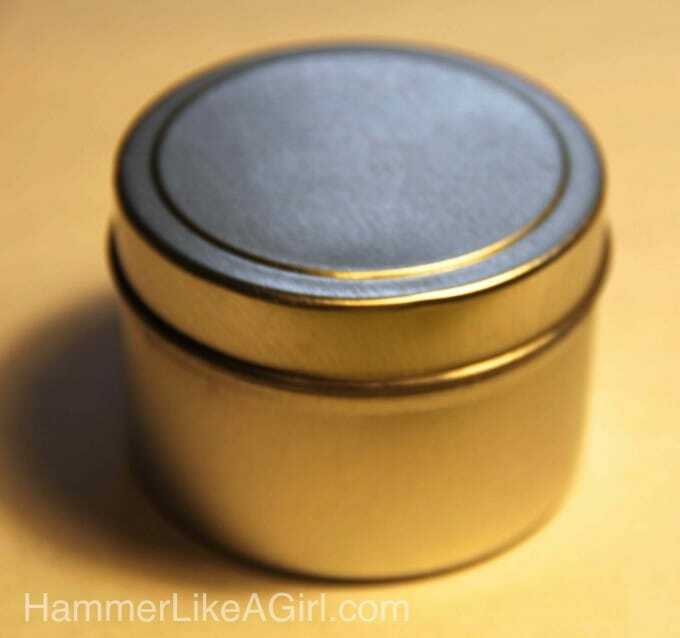 We found inexpensive food grade spice tins online. They come in various sizes. I wanted to store them in drawers on their sides so I did the math to see what would fit best. Measure the circumference of the tins. In a computer graphics program create the labels. Make the width of the labels slightly longer than the circumference to allow for some overlap. We wanted a contemporary look, so we used a simple lowercase, sans-serif typeface (Avenir). We repeated the title along the label, reversing the type to white from a lime green background, and created crop marks between the labels for reference for cutting. 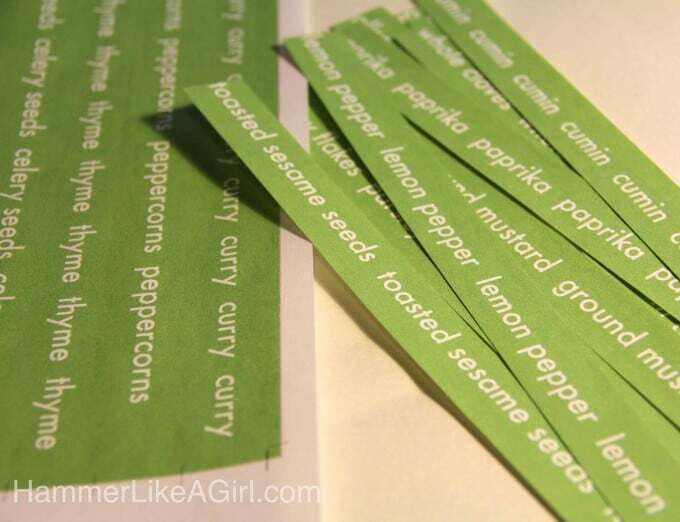 Trim labels, following the crop marks. 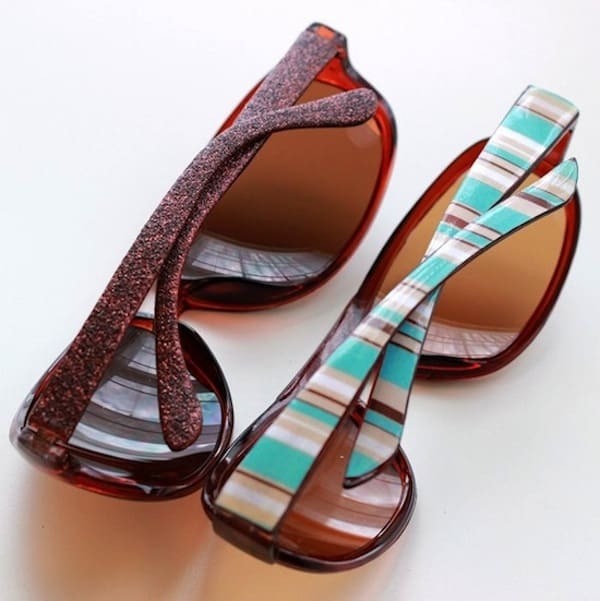 Coat the back of the strips with Mod Podge. Attach carefully to tin, overlapping ends. 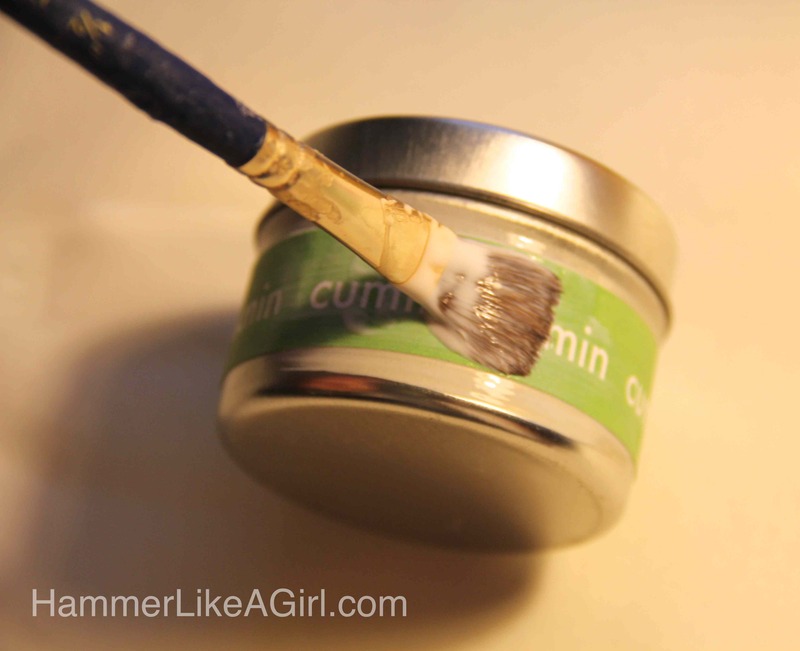 Allow to dry, then coat the outside of the label. For added durability, coat with a layer of polyurethane. That's all there is to it – a very simple project but it will make your life so much easier. 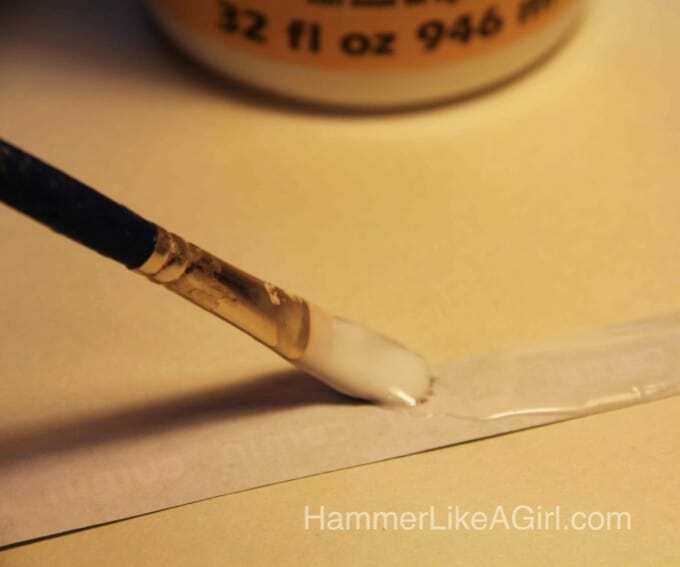 Visit our blog Hammer Like A Girl for other project ideas and follow us there or on our Facebook page to get regular updates! 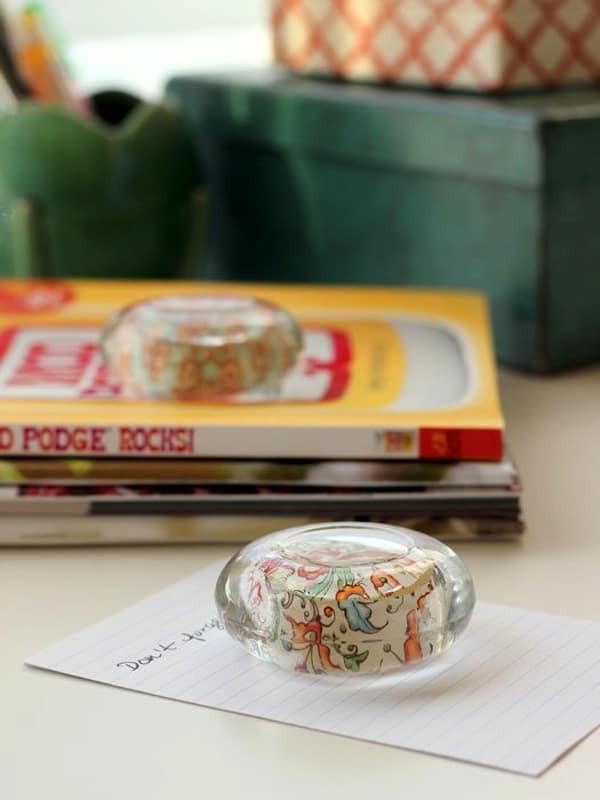 What do you think about labeling your spice containers with Mod Podge? Would you do it? Let me know in the comments!